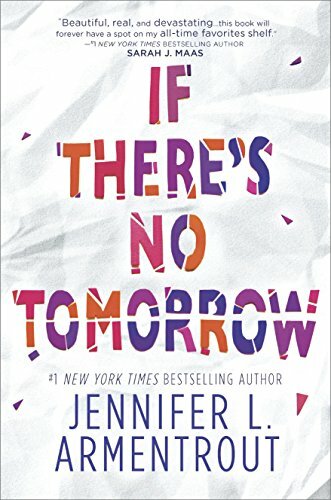 With IF THERE’S NO TOMORROW, Jennifer L. Armentrout delivers a coming-of-age story that’s raw and real, terrifying and devastating, but at the same time, one that’s sweet and romantic. The novel opens with a friends-to-lovers narrative, which by itself could have kept my attention the whole way through. The chemistry and realness between our lead characters (Lena and Sebastian) just hooked me from the get-go, as I rooted for their happy ever after. But Armentrout then throws a curve ball that changes everything you thought you were reading, flipping the trajectory of the story into some deeper and more emotional. Without spoiling the story, she brings attention to a conversation that belongs front and center for high schoolers like Lena, Sebastian and their friends. In a split second, everything changes for Lena, the landscape of her life and those around her forever altered. Lena must rouse from her emotional stasis, to learn and get past the hard lessons life has dealt. Because as she falls into a bottomless pit of guilt, grief and regret, she may lose everything and everyone she cares for. I loved this book, loved the range of emotions it evoked. I wasn’t able to put it down and you won’t be able to either.